A layman's odyssey every 'open-minded' Atheist, Jew, Christian, Muslim, Agnostic or Spiritual seeker must read!
" Where is God " he screamed as he cradled her tangled lifeless body in his arms. " Where is God " he demanded. 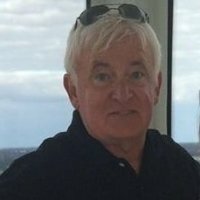 "It was the same plea he shouted decades before on the battlefields of Vietnam, when he held the dead or mutilated bodies of brother marines.
" Where is God ? " He sobbingly repeated, not exactly expecting an answer. He suddenly heard a voice behind him ~ a stranger hoping to comfort him said, " She is with God," ~ Jacob did not respond, as he continued to stare down at his beloved daughter Jessica.
" How the hell do you know she is with God ~ why did God take her in the first place? She should be with me " ~ Jacob screamed. The stranger ignored Jacob's anger, and bent down and wrapped his strong arms tenderly around both of them tearfully embracing them until the police and ambulance arrived. Devastated by his young daughter's tragic death, Jacob is determined to find God to ask Him why He allowed this tragedy to occur. No longer sure where to find Him, or if God truly exists, Jacob travels through the 'Ancient Gates of Abraham' to wander across the contradictory and prejudiced roads within the Kingdom of Religious Confusion. Repeatedly challenged to remain open-minded he engages religious leaders, devout followers, agnostics and atheists along passages as 'Born again Street', 'Fundamentalist Drive', 'Junction of the Majority', 'Path of Disbelief', and many more, in commonsense conversations to understand why their philosophy alone will lead him to God, or prove God's non-existence. Yet the further he travels the more confused he becomes, and it is not until his arduous journey nears its end that he recognizes a culminating revelation - an insight he was not expecting to unearth." We believe God transcends all time, is always among us and knows all things past, present and future ~ but was it possible that the stranger who comforted Jacob in his anguish over the loss of his daughter and wrapped his strong arms tenderly around both of them tearfully embracing them until the police and ambulance arrived was actually a manifestation of God. And Jacobs sudden realization that he had never thanked that stranger was an indication that the God he was fervently searching for was always deepest within himself ~ for god only reveals itself to a grateful heart. A fact I have proved and demonstrated in my work over the past 45 years ~ particularly with Combat Veterans with PTSD and in my book RADICAL THERAPY, SURRENDER TO LOVE AND HEAL YOURSELF IN SEVEN SESSIONS (not seven years). The key to the Kingdom of Religious confusion is gratitude and self-forgiveness and Arthur Schade's book is an ambitious step toward the ultimate realization that the God we are all seemingly seeking resides within ourselves ~ within a Unified Field of love, joy and soul consciousness which resides not only beyond time and space but also beneath our deepest fears ~ as it most certainly did within the stranger who was there for Jacob and his daughter Jessica. I have been that empathetic stranger many times in my work with combat Veterans with PTSD ~ for example, in one our Band of Brothers groups about a year ago, one of our Vietnam Veterans had recently lost his beloved aunt and was beside himself in grief. And that is precisely what happened to him for within two weeks, he told us about a recent vivid dream where she told him that she was now at peace and reminded him that she will always be living in his heart. He was now at peace himself and reflected that inner joy and inner peace of knowing that he is still loved. That incident was a wonderful reminder that those who we love deeply become part of us forever ~ for they are now in a Unified Field of love and soul consciousness that exists beyond time and space ~ just as my mother, grandfather and late twin will always live in my heart forever. But that incident could also be interpreted as blasphemous or the work of the devil by the religious right ~ as has been mentioned to me many times. I have also been Jacob ~ broken by unforeseen events to the point of hopelessness and despair and at just the right moment, a stranger appeared, helped me and took me by the hand and said "Everything is going to be all right " and I knew God had intervened much as Jacobs stranger. But I also later sought that stranger out and thanked him for being there for me which is why this great truth has been revealed to me. For to me, God is love, an evolutionary process with which we all participate as co-creators. 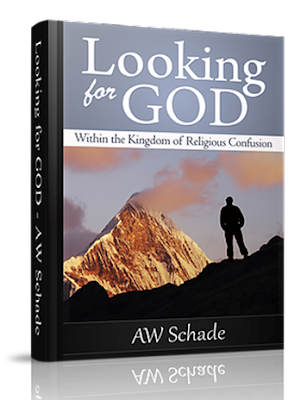 I am also indebted to Arthur Schade for this important informative and moving book as well as providing a much needed reminder that we no longer have to look outside for God, for God lies deepest within ourselves and will only reveal itself to a grateful heart. Read Schade's spiritual journey and discover for yourself your God within the kingdom of Religious Confusion ~ and celebrate it as I am now celebrating it with you. ... "but was it possible that the stranger who comforted Jacob in his anguish over the loss of his daughter and wrapped his strong arms tenderly around both of them tearfully embracing them until the police and ambulance arrived was actually a manifestation of God?" Well said, Alisa ~ and absolutely true. I have been moved to tears by such actions and innately knew I was experiencing and recognizing a loving plan or God in action.